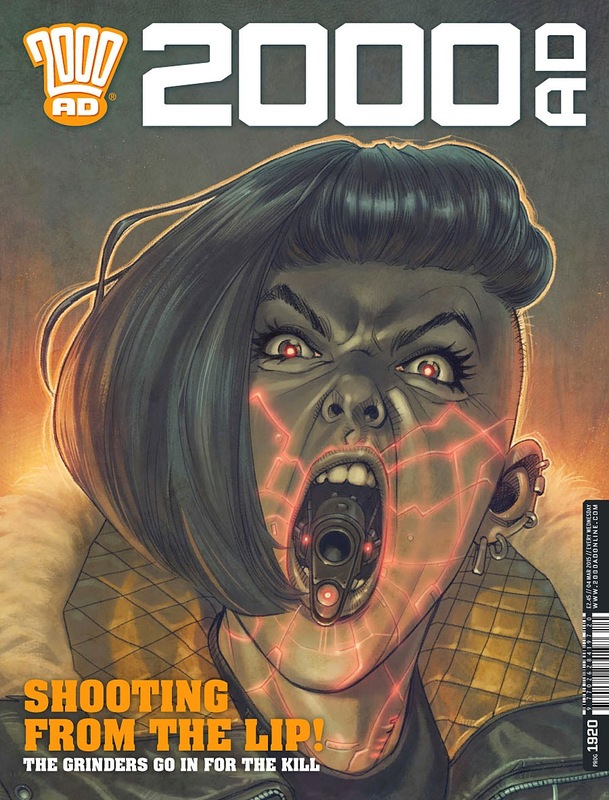 With a cover that's surely to terrify and induce sleepless nights among many readers, 2000 AD #1920 is aiming to bring a lot of the metaphorical ruckus to readers when picked up. 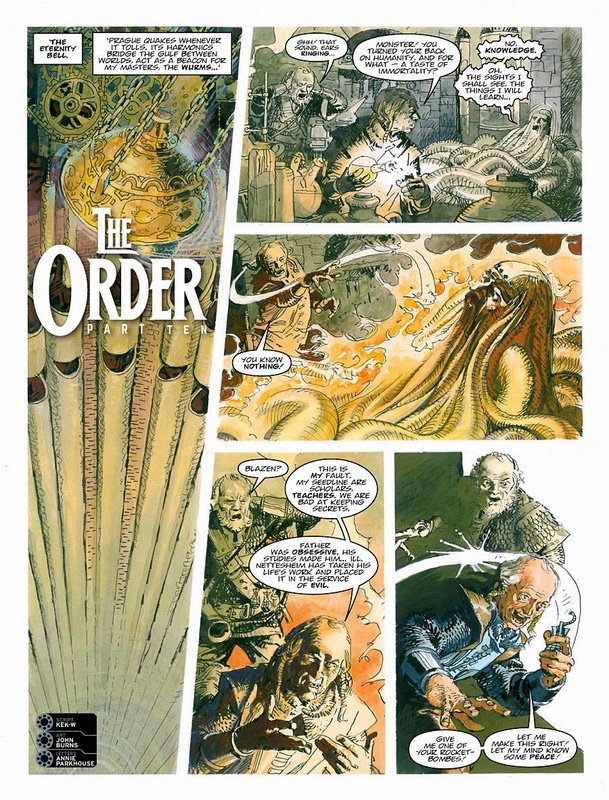 2000 AD #1920 features stories by John Wagner, Patt Mills, Kek-W, Eddie Robson and Gordon Rennie, alongisde art by Greg Stables, Patrick Goddard, John Burns, Darren Douglas and Neil Googe (colors by Gary Caldwell and letters by Annie Parkhouse, Ellie De Ville and Simon Bowland). 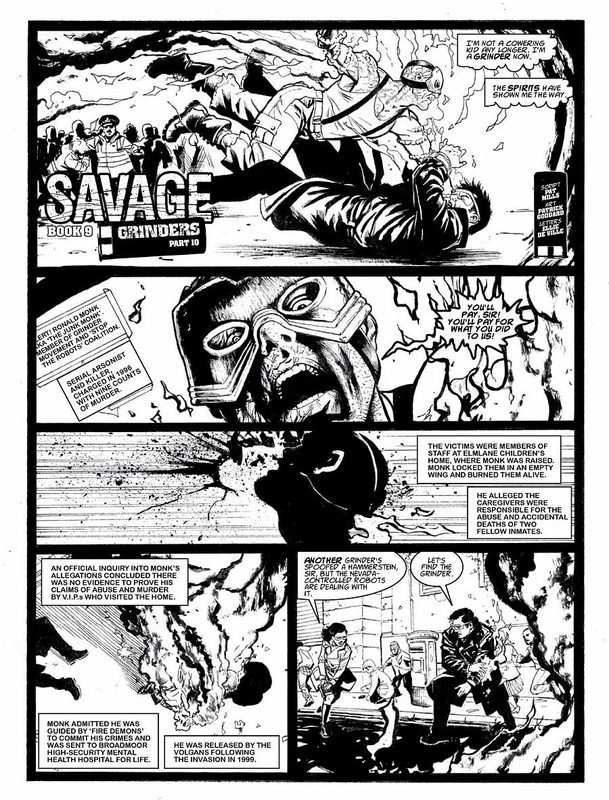 The Grinders go in for the kill, courtesy of artist Dylan Teague, in Savage: Grinders by Pat Mills and Patrick Goddard in this week’s 2000 AD. 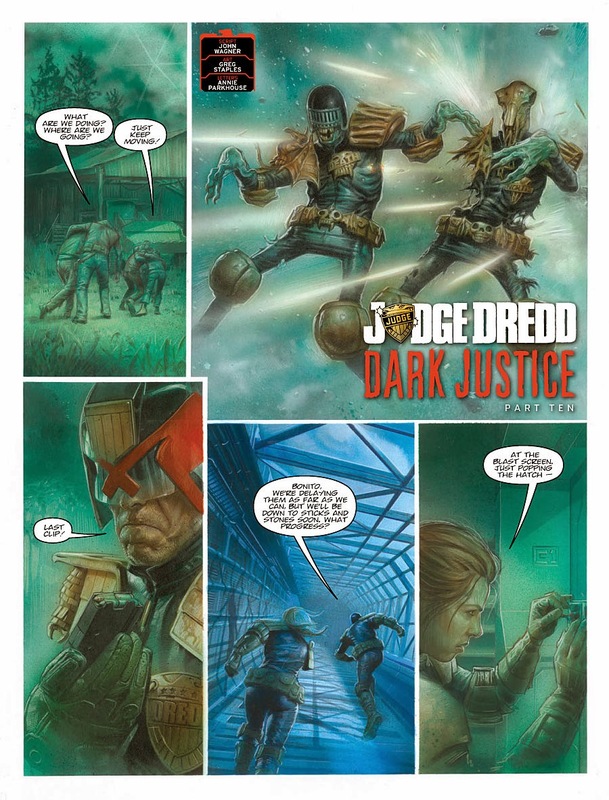 Also inside this week’s edition of the Galaxy’s Greatest Comic: time is running out in Judge Dredd: Dark Justice by John Wagner and Greg Staple; we go genre mad in Survival Geeks: Steampunk’d by Gordon Rennie, Emma Beeby, Neil Googe, and Gary Caldwell; into the belly of the beast in The Order by Kek-W and John Burns; and is this the final stop in Tharg’s 3riller: Station to Station by Eddie Robson and Darren Douglas. 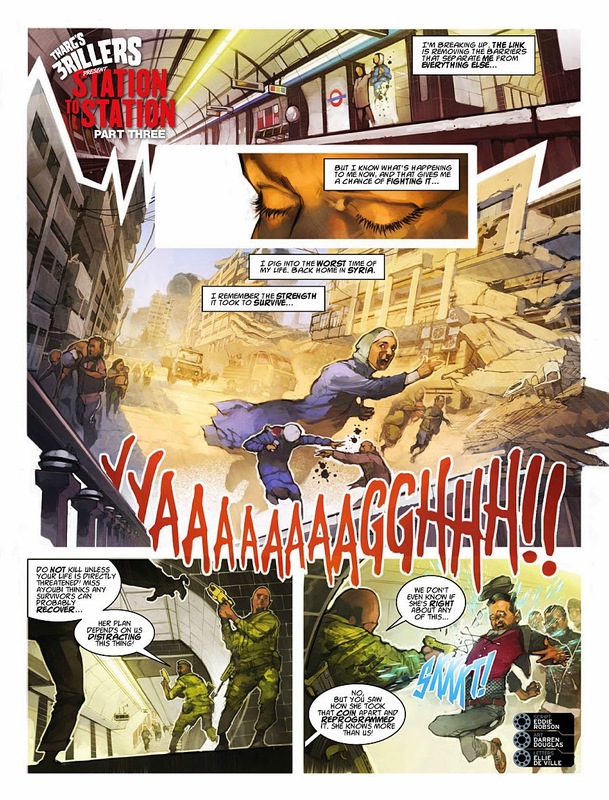 Check out the interiors below and the book in stores now.